It's been awhile since we've been to a book signing! I suppose it's high time we posted one! 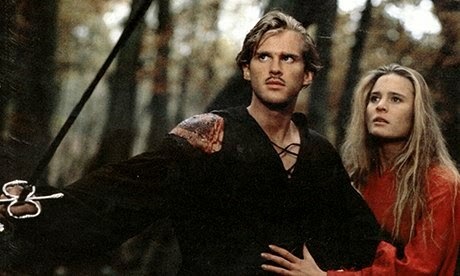 I just want to tell you guys how lucky I was to even get into the Cary Elwes book signing on Monday evening! I should have known that his event would be ticketed. All the really popular book signings are so there is some form of crowd control. I didn't realize until A.R. Braithwaite texted me and said the event was sold out and we didn't have tickets! Anyway, long story short, an older gentleman overheard me asking about my chances of getting in (which were not looking good) and gave me his spare ticket. I was so happy I could have hugged him. Instead, I offered to buy him the cup of coffee he told me he was running out to get before the event started. So thank you kind sir for the ticket! 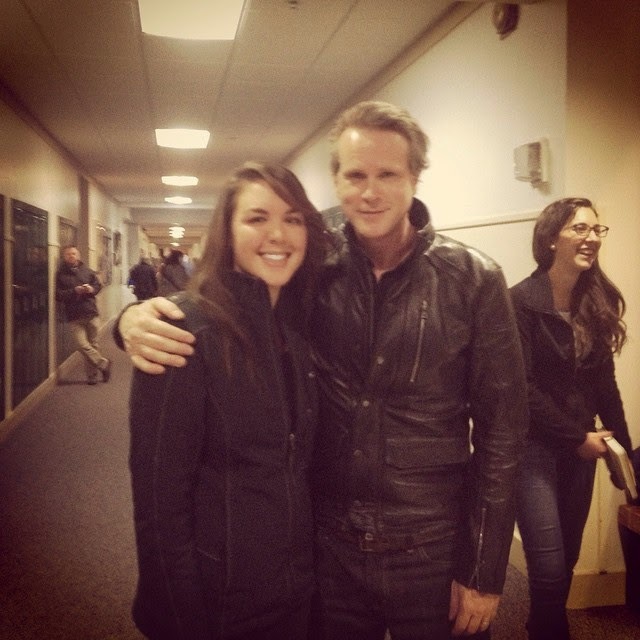 Cary Elwes is first and foremost an actor who has played parts in various TV shows and many movies. (The Princess Bride, Robin Hood Men in Tights, Twister, Saw, etc. etc.) He is probably most famously known for his part as Westley in The Princess Bride, and notes that the film is what really started his career. The film has grown into a classic that has passed down its popularity to the next generation, and celebrated it's 25th anniversary in 2012. Shortly after the 25th anniversary, Cary was approached by his managers with the idea of writing a book about his experiences on the Prince Bride movie set and there were several publishers that were interested in representing the book. So Cary, along with Joe Laydon, sat down to write it. The book is supplemented with thoughts and comments from the other actors and producers of the film and is a great and fun read for anyone who loves the movie. Anyway, Cary sat down with one of the employees of The King's English book shop (she is also a columnist for the SLTribune and a children's book author) and talked about his experiences on the set and in the book. He didn't share anything that wasn't in the book, but it was the WAY he shared it that really made the event fun. Cary had great comedic timing and was a master voice impersonator. He did all the voices for everyone in the cast he was talking about, and the effect was hilarious. He had the crowd laughing the entire time. And really, he was just a downright humble, kind man. Every time someone asked him a question he made sure to ask the name of the questioner and referred to them by their name while he was talking. I asked the girl in line behind me to grab some pictures of me and Cary while he was signing my book because posed pictures weren't allowed. However, when I told him that I was the one who interviewed him for the Deseret News, he jumped up and gave me a hug and asked if I wanted a picture with him. I have to tell you, luck was really with me that night! I brought a copy of my book review/interview in the paper and gave it to Cary as a souvenir. Special thanks to the girl who had my camera. She took a ton of pictures and captured many moments for me, even though I only asked her to take one picture! She was the best. It was a great event and I recommend reading this book if you're a fan of the movie. It'll make the movie a fresh experience for you after you learn about everything that was going on behind the scenes! Read my review/interview in the Deseret News here.